In 1950, the New York Philharmonic music director Dmitri Mitropoulos led his orchestra half a dozen blocks south from its home at Carnegie Hall to the Roxy, a 6,000-seat movie theater better known for its ice-skating spectaculars and variety shows than for anything approaching high culture. Mitropoulos, eager to get the orchestra out of its decorous bubble and take art to where the people were, judged the escapade’s success by observing how the audience dealt with its chewing gum. “The first thing I noticed at the Roxy, facing this audience of reg’lar guys, was a sea of jaws working up and down, chewing,” he told a reporter. But once the music started, “their brains were so absorbed by the music that they had forgotten even to chew!” The Philharmonic played there for two weeks, and even the huffiest critics were won over. Concert halls and opera houses function as both havens and fortifications. That’s where music sounds best, where committed audiences feel at home, and where the casually curious often feel unwanted or unsure. Mitropoulos was neither the first conductor nor the last to conclude that the world is full of people who love concerts but dislike concert halls, or who can’t afford tickets, or live too far away. In the last century, classical music depended on radio, recordings, and the occasional television broadcast, all magical media, but only partially satisfying simulacra of live music in the flesh. High-definition streaming is something else altogether. Not long ago, the webcast was a shaky, jumpy, pixelated source of irritation. Today it has evolved into the musical equivalent of a World Series telecast, a cheap and communal way to make the vicarious experience almost as vivid than the real thing. At-home symphony audiences don’t see super-slo-mo replays of miraculous clarinet solos, but they do get superb sound and production values sophisticated enough to act as silent guides through the score. The Metropolitan Opera has used streaming to bring performances to movie theaters worldwide; the Berlin Philharmonic offers a library of performances on its Digital Concert Hall. Starting next week, Carnegie Hall will go global, partnering with the six-year-old classical-music portal medici.tv to stream concerts from the home that Mitropoulos busted out of. 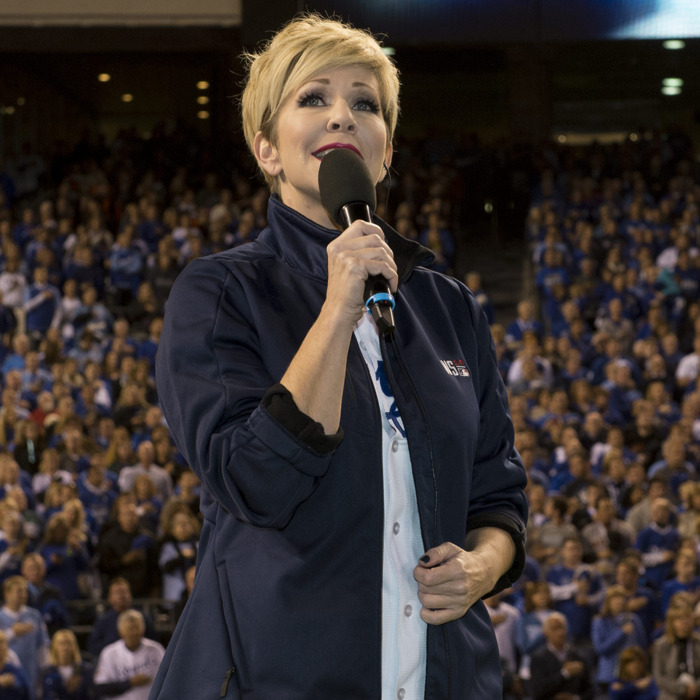 First up on Tuesday is a recital by mezzo-soprano Joyce Di Donato, a semi-divine creature of the operatic stage who just earned her own pop-culture cred by delivering the national anthem before the final game of the World Series. Three more recitals follow this fall: the violinists Anne-Sophie Mutter on November 18 and Leonidas Kavakos on November 22, and the pianist Daniil Trifonov on December 9. All will be streamed live and remain available for 90 days. And all of them will be free. The classical-music world has often seemed aggrieved, hermetic, and clueless — everything that the music itself is not. But technology is slowly changing that. The Met sometimes broadcasts to megascreens on Lincoln Center’s plaza. In Miami, Frank Gehry designed the New World Symphony’s new concert hall to funnel audio and video to audiences in the surrounding park. Carnegie Hall, woven into the dense fabric of midtown, doesn’t have the option of turning indoor concerts into outdoor block parties. But the webcast changes the answer to that old riddle about getting to Carnegie Hall: If you can’t make it, Carnegie Hall will come to you. Watching and listening to Di Donato unspool her platinum thread of a voice on a wall-size TV or miniscule smartwatch isn’t the same as being in the auditorium with her — but it could still cause mandibles to stop moving all over the world.